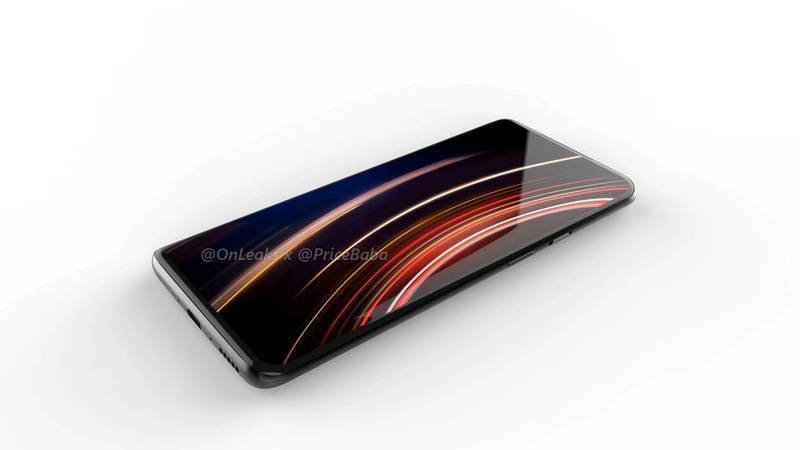 New renders of the OnePlus 7 indicate that the device featured below is the OnePlus 7 Pro variant. Original article from March 4, 2019 is preserved as below. With MWC 2019 done and dusted, we now move on to the releases that will keep us occupied for the second quarter. 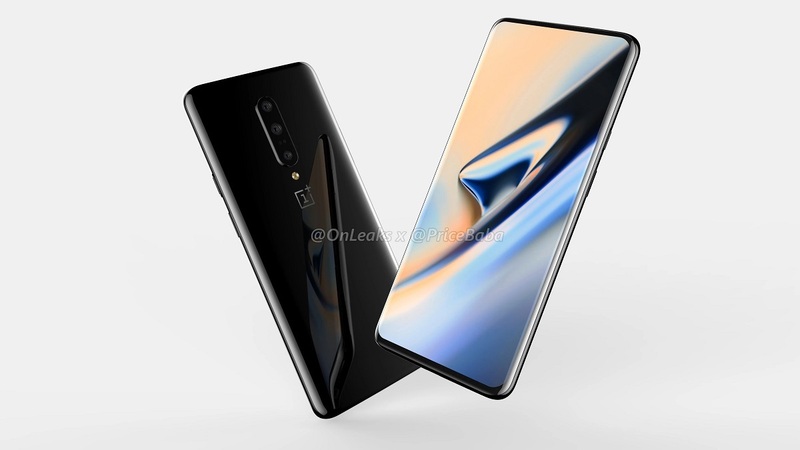 One of the notable releases expected in late Q2-early Q3 2019 is the next flagship device from OnePlus, the OnePlus 7. 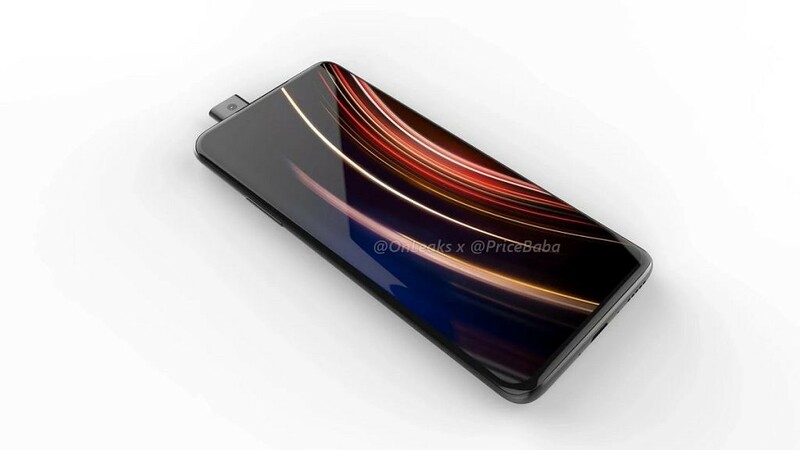 So far, we had only seen a leaked prototype of the device, which indicated that the phone would have a slider design to house the front camera and additional sensors. Now, we have CAD renders of the device which indicate that the previous leak was only partially correct. 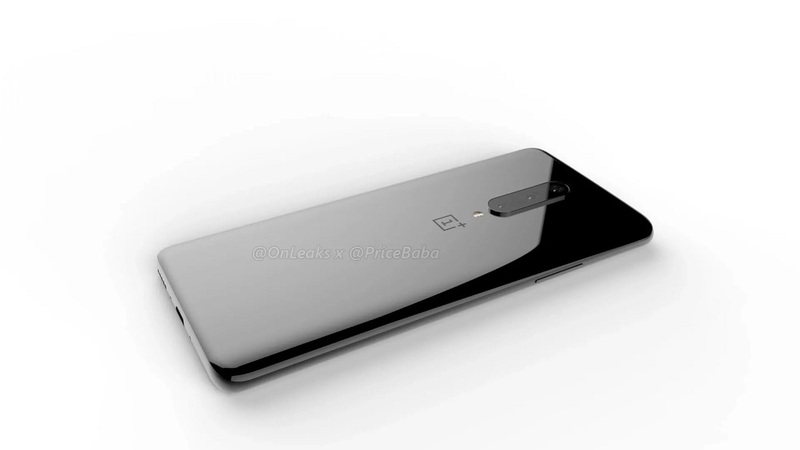 Notable leaker @OnLeaks has released CAD renders of the OnePlus 7, in collaboration with Pricebaba. Let’s talk about the crazy stuff first: the pop-up selfie camera. 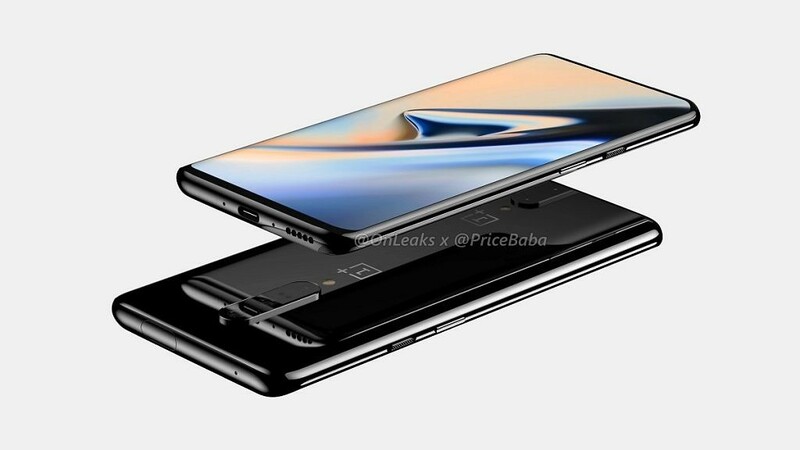 The previous leaked prototype already let us know that OnePlus planned to forego conventional smartphone design, but it allegedly did so in favor of a slider mechanism. 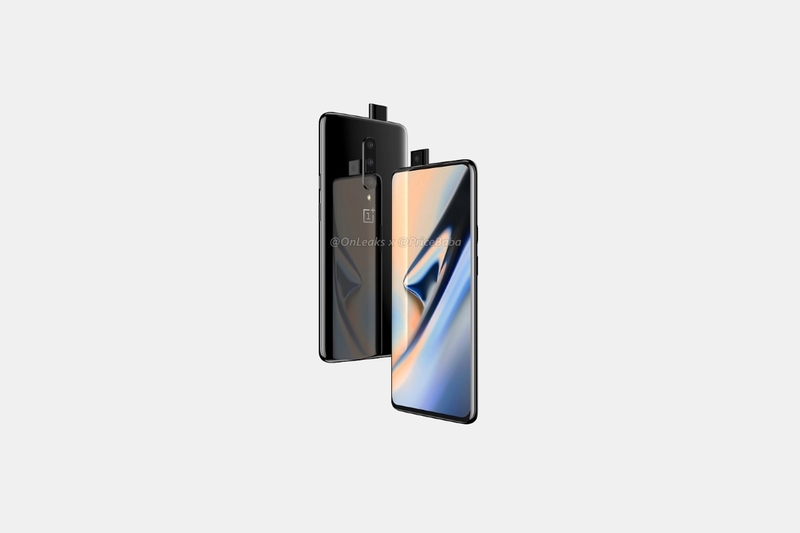 This CAD render agrees with the former but not the latter, as the OnePlus 7 is clearly showcased sporting a pop-up selfie camera, much like the Vivo V15 Pro and the Oppo F11 Pro. The OnePlus 7’s pop-up camera is offset and not centered, which distinguishes it from the Oppo F11 Pro. 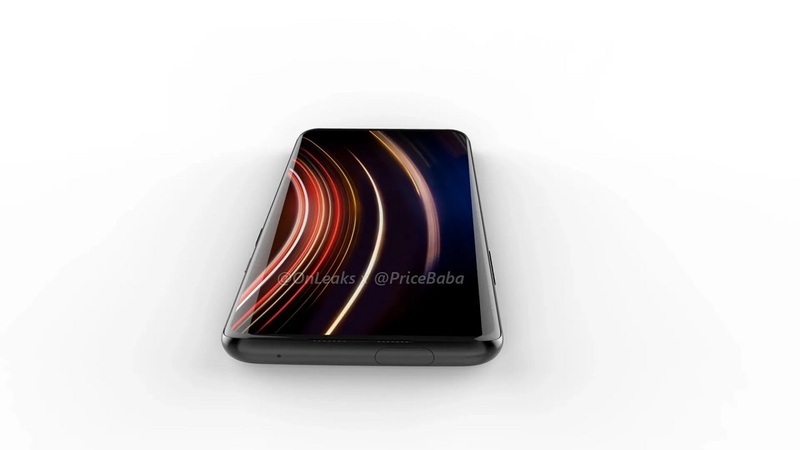 Because the front display area no longer needs to house the front camera or a notch, OnePlus will be offering an impressive screen-to-body ratio, claimed to be at an upwards of 95%. The display is expected to measure 6.5″, and though the display resolution is unknown, it wouldn’t be too far fetched to guess that OnePlus will be sticking to FHD+ for another year. 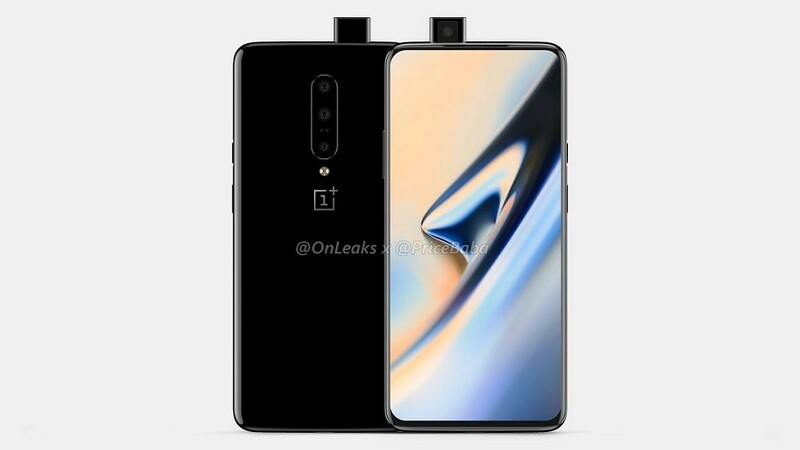 The OnePlus 7 is expected to measure 162.6 x 76 x 8.8 mm, with the thickest point (camera bump) being 9.7 mm thick. 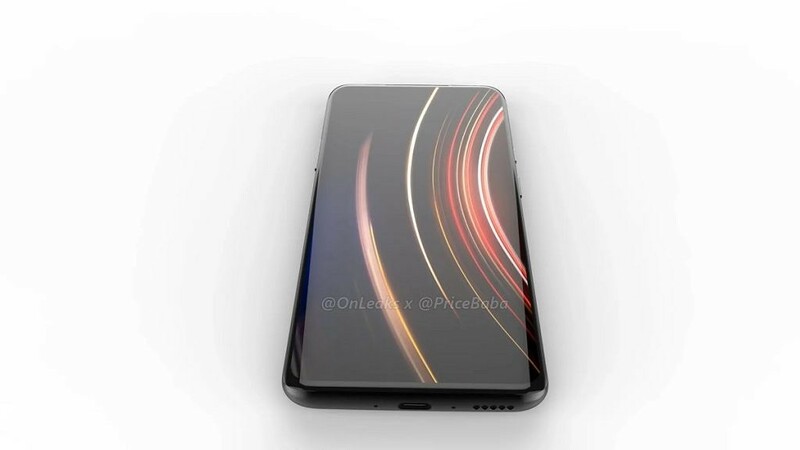 The front will also house the in-display fingerprint sensor, though it is unknown if it will be the same optical sensor as used in the OnePlus 6T or whether it will be an ultrasonic sensor as used in the Samsung Galaxy S10. The back of the device sports three camera sensors. The functionality of these sensors is unknown, but we do hope OnePlus does something practically useful with them. The rest of the device is fairly straightforward and predictable. There is a USB Type-C port and a loudspeaker grille at the bottom of the device, while the top of the device has a mic and the elevating camera mechanism. The volume keys are on the left, and the power button and the alert slider are on the right. The 3.5mm headphone jack continues to be absent. Outside of these features, we know that the OnePlus 7 will come with the latest Qualcomm Snapdragon 855 SoC, though it won’t be the 5G phone from OnePlus. 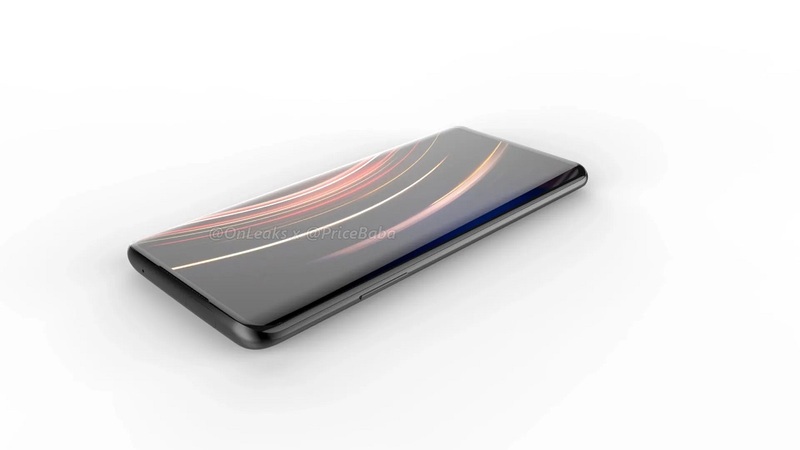 The phone will also skip out on wireless charging for sure. Other key specifications of the device can be guessed, though we will wait for more credible leaks for the same. What are your thoughts on the OnePlus 7, its notchless design with the pop-up selfie camera, and its triple rear camera setup? Should flagship devices have moving parts? Let us know in the comments below!